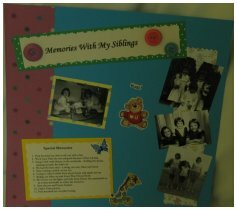 Are you looking for a fun and easy way to record your family stories, memories and experiences? The idea behind the Journal Box is that you or the recipient chooses a piece of paper each day or week and scraps or journals the response. The result will be a valuable collection of treasured memories. The writers among you will be challenged to pen your memories and thoughts. Include as many details and descriptions as possible. If you don't like to scrap or journal, turn on a tape recorder or video camera and tell about your memories. During family night, choose one of the prompts and have each member record memories. Younger children may want to draw their answers. Siblings can work on the same questions to share at the next family reunion. Couples can work together on a scrapbook or journal of their lives together. Teachers can use The Story of Me prompts to help students improve writing skills. Use the prompts during a Bible study group to encourage members to express memories and feelings. Use the Family Tree prompts to do a video history with your family members. Videotape your children answering the questions for a visual album of memories. 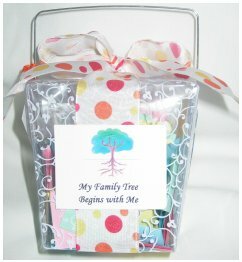 My Family Tree Begins With Me - prompts about you personally, like The Bravest Thing You've Ever Done, Your First Childhood Memory, and Special Memories With Your Siblings. 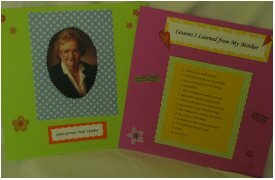 My Family Tree Those Before Me - Where Were Your Parents Born and Raised?, Significant World Events During Your Grandparent's Lifetime, and Special Family Recipes. I'm a Survivor - for those living with a chronic disease like cancer, diabetes, MS, etc. What Do You Do to Feel Good About Yourself?, What Does Hope Mean to You?, and Describe the Day You Got Your Diagnosis. The Story of Us - How Did You Meet Your Spouse/Partner?, Tell About Meeting Your In-Laws, and Memories From Your First Year Together. The Story of Me (Children) - Who Lives at Your House?, How Do You Celebrate Your Favorite Holiday?, Who is Your Best Friend and Why?, and A Favorite Trip or Vacation . My Pregnancy - How Do You Feel About Carrying a Baby Inside You?, Who was the First Person You Told the News?, and The First Item You Purchased for the Baby. My Faith Journal - What Bible Character Can You Relate to Right Now?, A Forgiveness Experience, and What Can You Rejoice About Today? These prompts will probably make you think of other topics you'll want to include in your album or journal. You may purchase a Journal Box from Paula Chung for $12 plus shipping - contact us by email at busyissybeads@yahoo.com.